“When are all these 40-somethings going to start acting like adults? 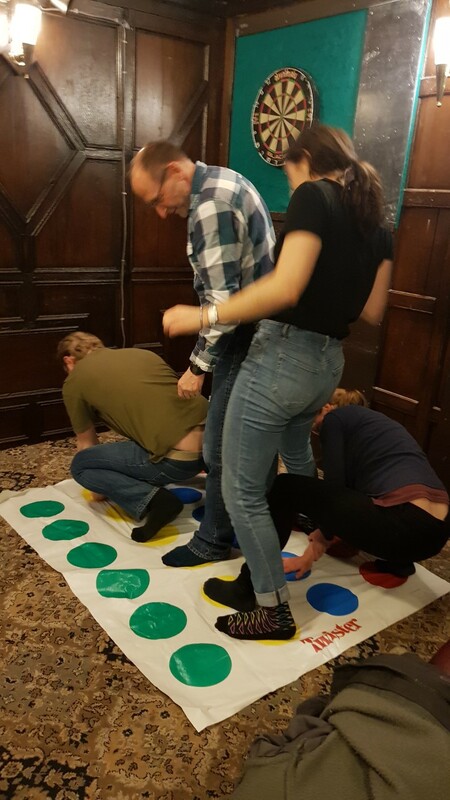 Tuesday night saw the second indoor games outing for the Outdoor group – our goal was to play games of skill and chance in our usual room upstairs at the Thomas Wolsey. Despite Tess worrying she might be playing solitaire by herself, right at the start we had enough people for a game of Perudo, where the all players have several dice and you bid on what everyone has rolled. Or bluff. Badly in my case. Several others turned up and started with Exploding Kittens, a game where you try not to get the exploding card. With the opportunity to place exploding kittens in the pack to ambush your fellow players, you soon find out who your friends are. 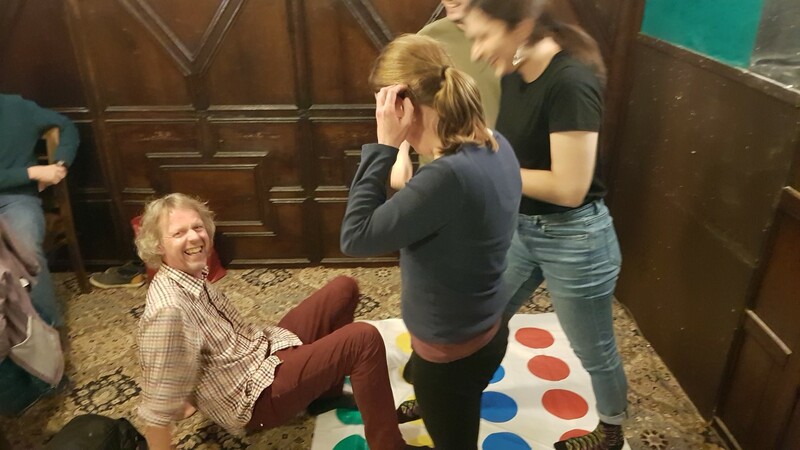 Then we got our shoes off and got on with the main event – Twister. 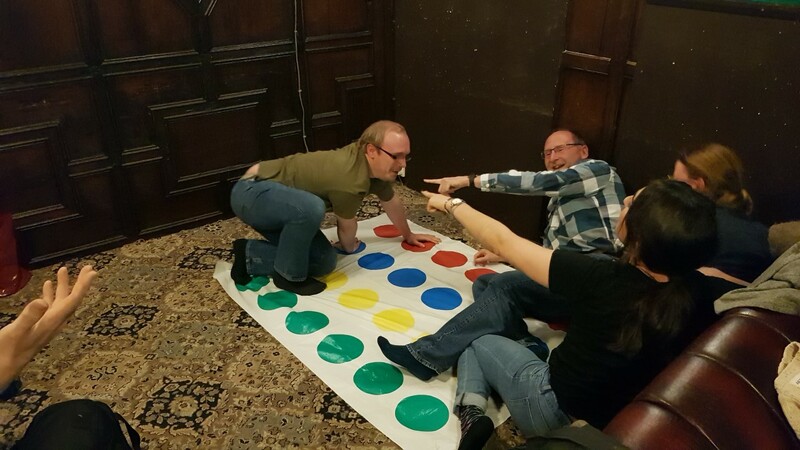 Sadly, I don’t know my right from my left so got kicked out early, but Tess and Rachael proved more flexible.